The calendar is a way of showing scheduled posts. The calendar can be an alternative to the Add post button, in this case, you can just change the order of your actions: first, select a date and then work with your post. 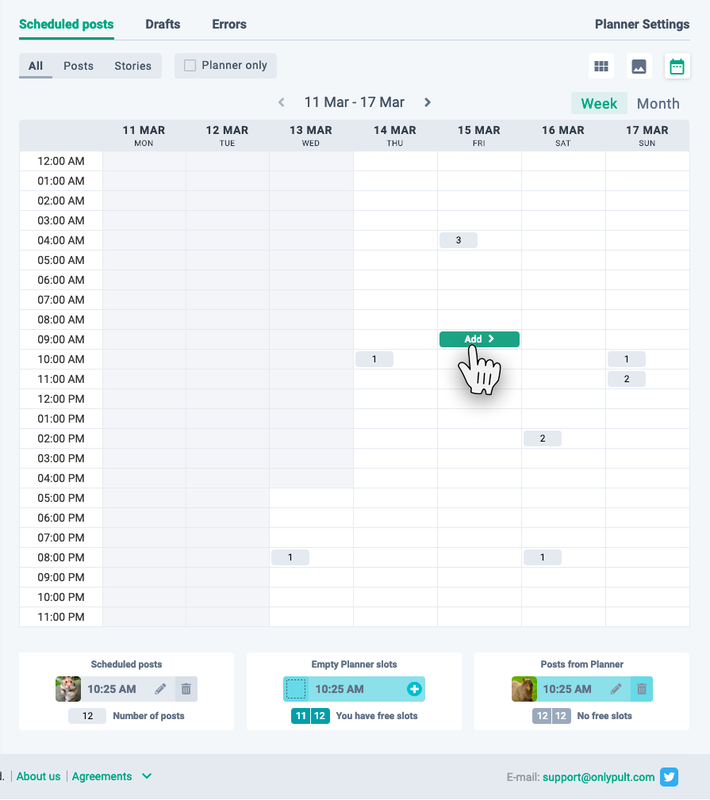 The calendar also helps visualize the schedule of your posts.